The Great South Bay Music Festival in Patchogue. Beaches, barbeques and lobster rolls are just a few of our favorite (summer) things. But for many, Memorial Day through Labor Day is first and foremost concert season. 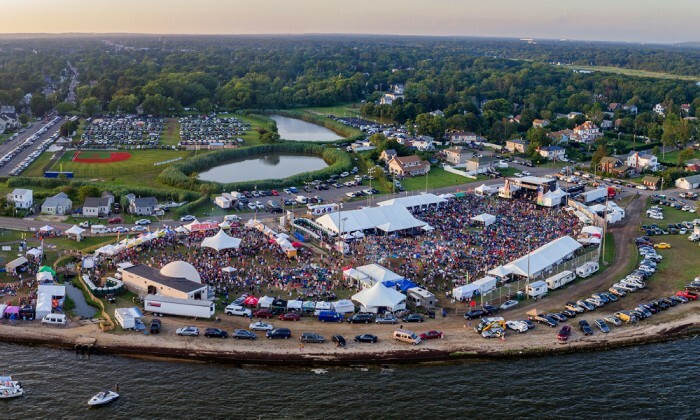 And given the increase in new and refurbished venues, Long Island has been seeing a growing number of notable acts making their way to the area over the years. It will be impossible to catch them all, especially if attempting to toggle between festivals in the city and beachfront stages, best instead to focus on these can’t-miss shows going down at the Island’s top venues this season. The bayside amphitheater is a warm-weather tradition and always has a stellar lineup of summer concerts. The season opens with a bang when Pulitzer Prize-winning Kendrick Lamar takes the stage May 30. After the Compton native leaves town, classic rock fans will get their fix when ZZ Top and John Fogerty, Poison and Cheap Trick, Foreigner and Whitesnake, and Lynyrd Skynrd perform in consecutive nights from June 20–23. When the calendar flips to July, a 90s theme overtakes the beachside venue with shows from Foo Fighters (July 14), Dave Matthews Band (17), Weezer and the Pixies (18), and Stone Temple Pilots, who will perform alongside Bush and The Cult (27). In August, aging metalheads will want to check out the double bill of Rob Zombie and Marilyn Manson (Aug 7), while Counting Crows and Live (22) as well as 311 and The Offspring (25) bring the season to a close. Regardless of what you call it, Nassau Coliseum still serves as the go-to spot to catch the biggest acts, and this summer, it doesn’t get any bigger than U2, who are stopping by on June 9 as part of their eXPERIENCE + iNNOCENCE Tour. The last time the band played the Coliseum was its ZOO TV tour back in 1992, making this show a long time coming. The band is fresh off an extended tour for the 30th anniversary of its iconic The Joshua Tree album. This go-round, expect a much more varied setlist with a nice mix of new material and classic hits. Only bona fide stars can follow that act, but country darlings Tim McGraw and Faith Hill certainly fit the bill. The husband-and-wife team come to Nassau on July 14. For those who already feel nostalgic about the early 00s, the recently reunited Panic! at the Disco visit on July 20 to play their hits as well as tracks off their recently released Pray for the Wicked. On Aug 29, pop-punkers Fall Out Boy will stop by in support of their new album Mania. 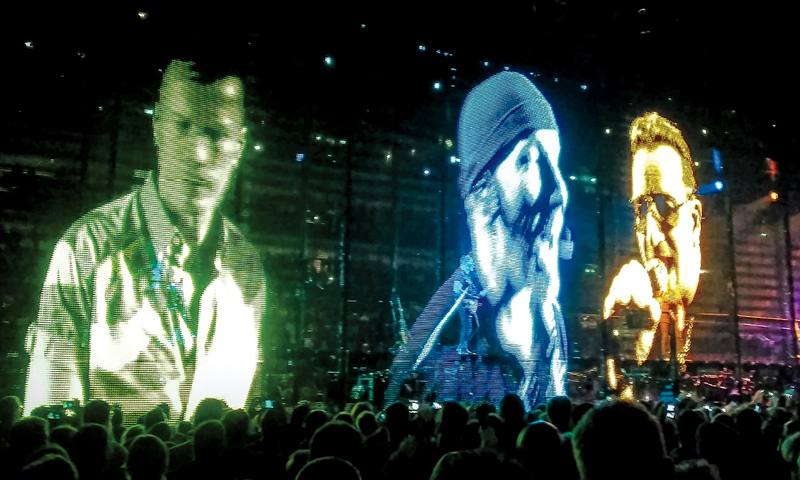 U2 continues their larger than life tour this summer. As always, the world’s most famous arena plays host to a who’s-who list of acts this season, (including a three-night, post-Coliseum stint by U2), but the Imagine Dragons show on June 19 should be particularly epic considering they’re arguably the most popular alternative band on the planet right now. Nonetheless, the mantle for best band still goes to Radiohead, who will begin a four-night residency at the Garden on July 10. Speaking of residencies, the piano man continues his much-acclaimed concerts well into the fall. Other MSG shows to be on the watch for include Hall & Oates (June 14), Beck (July 19) and Rod Stewart with special guest—and Queens native—Cyndi Lauper (Aug 7). The NYCB Theatre at Westbury is the perfect spot if it’s a more intimate live music experience you crave. And while Peter Cetera (June 23) and Yes (July 18) sound tempting, it’s Smokey Robinson on Aug 24 that registers as can’t-miss. Even after 50 years in the biz, Robinson’s golden voice still turns songs like “Cruisin’” and “The Tracks of my Tears” into magic. Huntington’s Paramount Theatre also has a few noteworthy shows, including alt-rock heroes Gin Blossoms, Tonic and Vertical Horizon on June 10 and acclaimed ukulele prodigy Jake Shimabakuro on July 26. Left: Bush’s Gavin Rossdale. 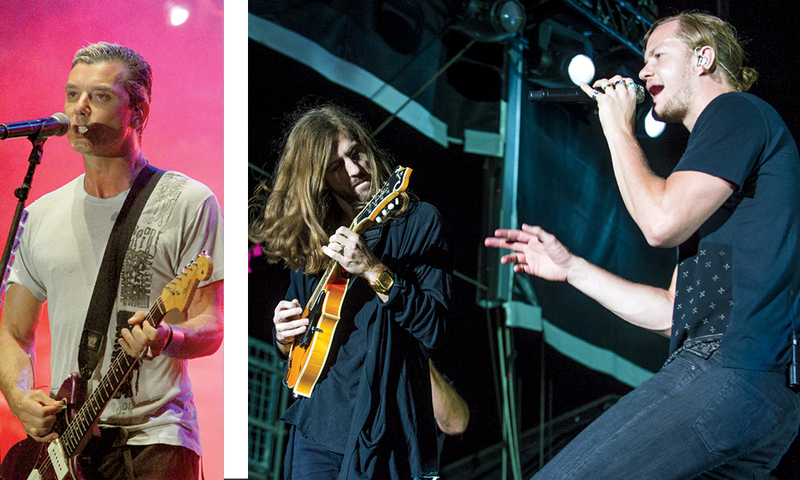 Right: Daniel Wayne Sermon and Dan Reynolds of Imagine Dragons. Summer music festivals have become a dime a dozen in the past few years, but fortunately New York is home to some of the country’s best. 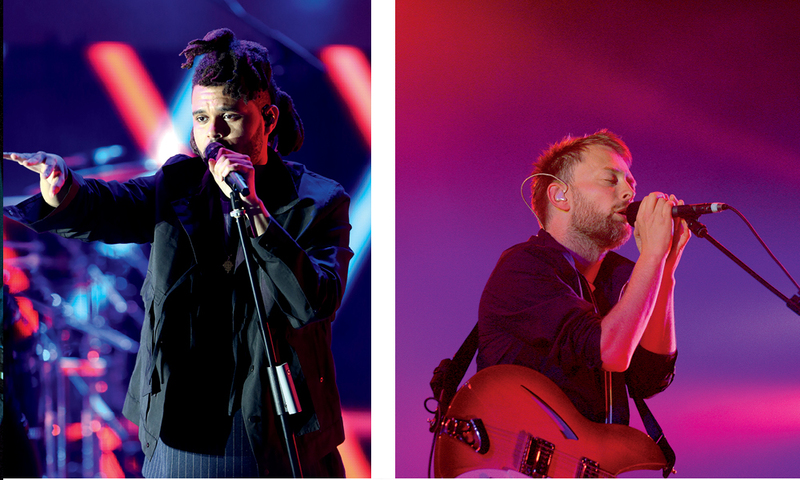 Held on Randall’s Island from June 1–3, Governors Ball is arguably the country’s biggest summer music fest and the one that officially kicks off festival season. This year’s lineup includes some huge names like headliners Eminem, Travis Scott and Jack White. Though the crowds at Post Malone and Lil Uzi Vert are likely to be huge, seek out some of the more under-the-radar acts like Moses Sumney, Alvvays and Brockhampton. Once the Governors Ball circus heads out, the Panorama Festival invades from July 27–29. Big name acts include The Killers, The Weeknd and Migos, but keep the likes of St. Vincent and SZA on the must-see list. 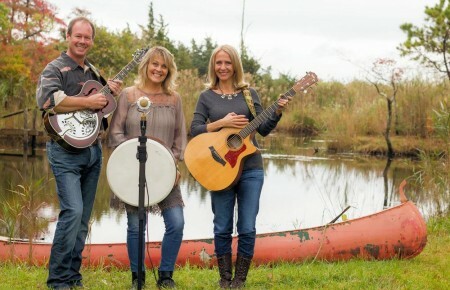 As always, there’s the terrific and ever-growing festival in our own backyard—the Great South Bay Music Festival returns to Patchogue from July 12–15. The four-day fest is one of the summer’s more affordable (four-day tickets start at $143) and features a jam-friendly variety of bands such as Umphrey’s McGee, The Front Bottoms and Sublime with Rome. Left: The Weeknd. Right: Radiohead’s Thom Yorke. It will be worth catching the train out to Queens’ Forest Hills Stadium. 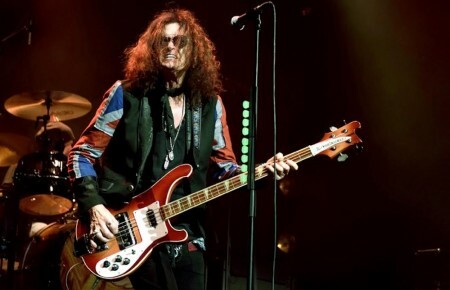 The nearly century-old venue has some stellar shows for classic-rock enthusiasts, such as a June 13 concert from Led Zeppelin’s Robert Plant, The Who frontman Roger Daltrey on June 17, and Talking Heads legend David Byrne on Sept 15. In July, Britney Spears will take a break from her Vegas shows to do a two-night stand at Radio City Music Hall on July 23 and 24. And the double threat show of Zac Brown Band and OneRepublic on July 28 and 29 at CitiFeld will undoubtedly sell out so move fast.